Get FREE access to all Fairfield real estate listings from your smartphone or tablet. 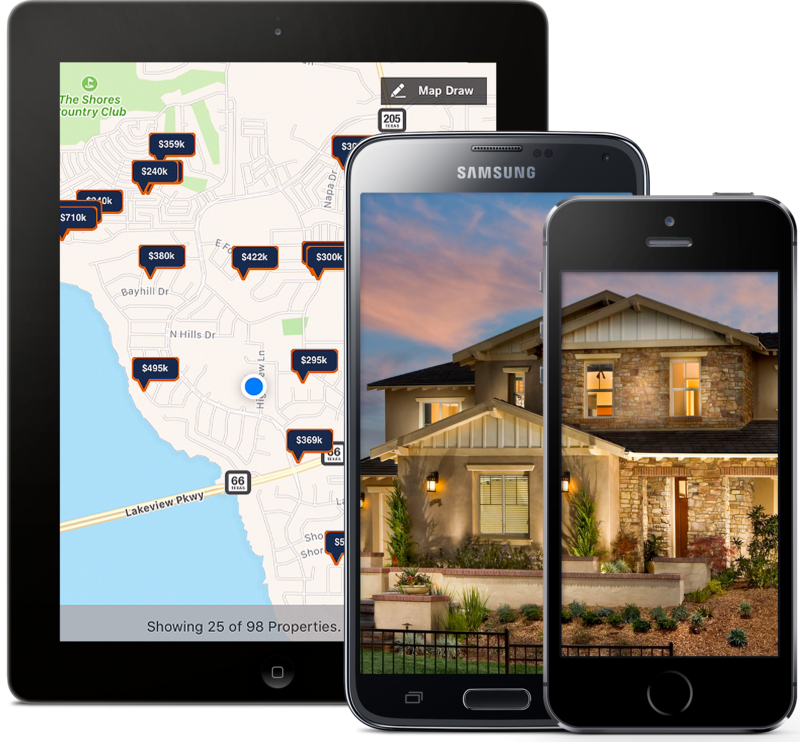 A Powerful GPS enabled real estate search tool in one easy-to-use app. Search all U.S. homes for sale & rent just like a real estate agent uses the M.L.S. to find homes for clients. Compare the fit & finish of each home by studying detailed photos & taking the virtual tour. Be the first to know when a new listing comes on the market or when the price drops on that home you want. Curious about what your neighbor’s home sold for? View the selling price of homes sold within the last three years. Use the interactive GPS enabled map search to see which homes are for sale anywhere around your location. Categorize your favorites, then reach out to the agent for a showing with a tap of your finger. "This app is way better than Zillow or Trulia's app. And knowing I have an agent who can answer questions and provide additional info is a huge bonus!" "I used this app to find my current residence. The map feature and detailed photos of property made the search very efficient. Two thumbs up!" This app is absolutely free to download and use. It couldn’t be easier to be “in the know” about real estate. Install it on your iOS or Android device. It’s simple to install. The app will walk you through a series of screens to accept the user agreement. Once the Smarter Agent app is installed, you’ll be able to search & sort homes. Then, contact the agent for personalized service. See what’s on the market today. 90% of home buyers use the internet to search for homes prior to purchasing. 68% used a mobile device app like Real Estate by Smarter Agent.